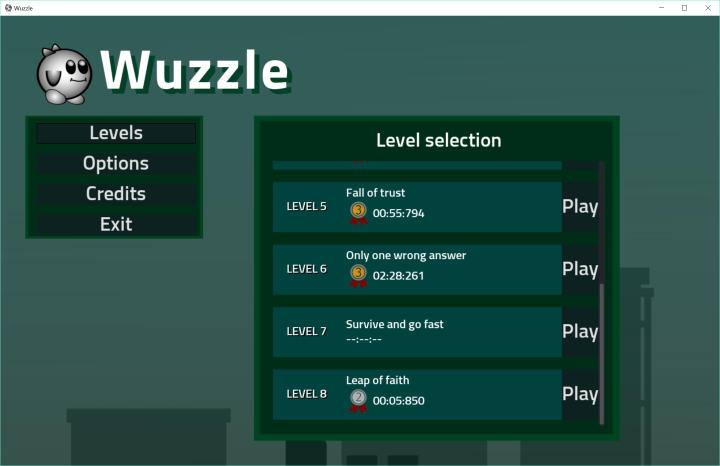 Wuzzle is a 2D Quiz based Jump 'n' Run game. 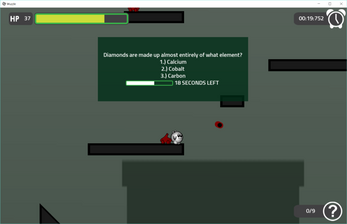 You have to answer Questions while dodging enemies and reach the Levels goal as fast as possible. 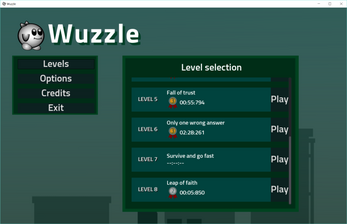 Select a Level and beat your own record to get a gold medal. Have fun and go fast.